Albany Theatre Supply has been supplying stage curtains for over 50 years! We can provide replacement stage and window curtains fabricated in beautiful flame retardant theatrical velours and in many other flame retardant fabrics. 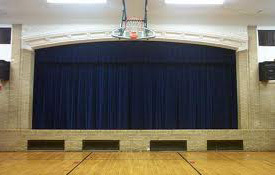 We also provide scrims and back drops in a variety of colors and fabrics. Whether you are looking for a basic curtain for a small stage or a full main curtain, valance and complete cyclorama setting, we can supply them all. Call us at (518)465-8895 to discuss your stage curtain needs and we’ll be happy to provide you with fabric swatches and a price quote. 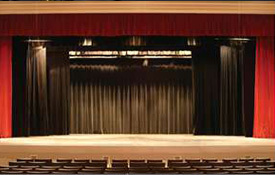 We also provide the installations of stage curtains, tracks and hardware. Ask about our bulk fabrics such as muslin, scrim, commando, encore velour and many more..
We also offer professional on-site or off site cleaning of your stage curtain, flame proofing and dry cleaning. Flame retardant certificates are provided with each new curtain or your completion of our flame proofing service. 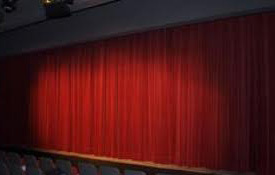 Please call us at (518)465-8895 to discuss your stage curtain and flame proofing needs.